To make a donation, select the fund by clicking the corresponding button. You will be directed to our secure payment portal. 2. If you wish to provide additional information to the donation (e.g. In Memory of, In Honor of, etc…), please complete the Donation Form after making your donation and email form as an attachment to robin@jerichojc.org and galit@jerichojc.org. Contribute to the Synagogue’s General Fund if you want to support the areas of greatest need. Donate to the Kiddush Fund to support the weekly Shabbat Kiddush. The Bikkur Cholim Fund dedicated to the memory of Irving Gluck, Sherwin Gluck’s father, is to purchase comfort items such as: soup, books, flowers, etc. to bring when we visit people who are either in the hospital or are home bound. 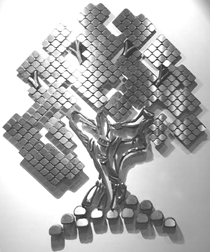 The Walk of Remembrance – Holocaust Memorial Brick Fund supports our beautiful Holocaust Memorial Garden; dedicate a brick in memory of a loved one or to commemorate a simcha (happy occasion). Please fill out the information on this form. 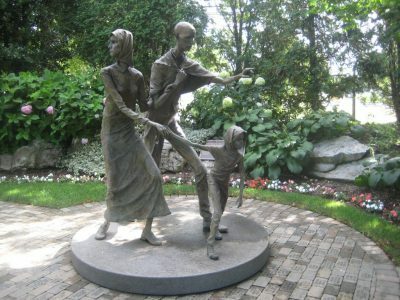 The Holocaust Memorial Garden Fund (Flower Fund) maintains our beautiful Holocaust Memorial Garden; make a donation in memory of a loved one or to commemorate a simcha (happy occasion). Please fill out the information on this form. Join our Keter Torah supporters. Keter means crown, and is the ornament on top of our Torahs; our gift from G-d uniting us as a people. Make a Yahrzeit donation in memory of a loved one’s yahrzeit. The New Neighbor Mezuzah Fund, seeded by the generous donation from Iris & Stanley Salomon, will be used when Rabbi Herman reaches out to potential new members, offering the mezuzah and blessings. The Youth & Education Enrichment Fund supports the Religious School and Youth projects and products. The Choir Fund supports the Synagogue Choir programs and services.